Welcome to the companion Web site to "Titanic's Lost Sister," originally broadcast on January 28, 1997. 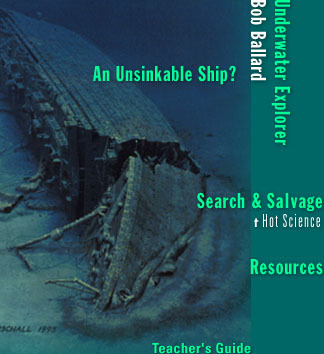 The program follows underwater explorer Robert Ballard as he uses sonar technology to find the Britannic, a ship lost in the Aegean in World War I. Illustration by Ken Marschall from Robert D. Ballard, Lost Liners, an upcoming Madison Press/Hyperion Book.